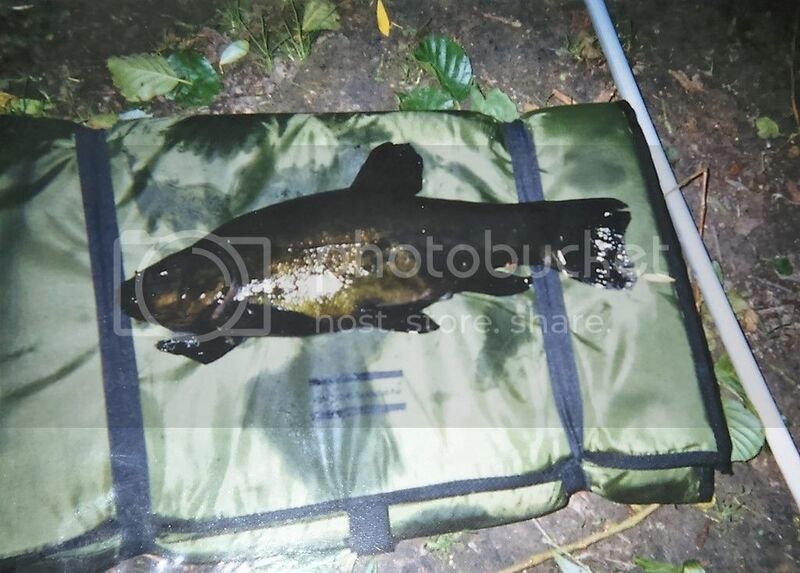 Has any one caught a black tench.there is a pond a 20 minute drive from me that contains black tench.i haven't caught one but I've saw them getting caught.i thought it must have been something to do with the fish blending in with its surroundings but a few got moved to a crystal clear pond 3 or 4yrs ago and they are still black.ive saw them in the water and they are totally black.ive heard of golden tench but never these. They would be great fish to catch and photograph, alas none in my neck of the wood as far as I know. I didn't know black tench existed. Any pictures? Knew I had a photo somewhere. Not particularly good quality picture but caught one about 20 years ago. Plenty of images on Google. I use to catch lots in the ponds around York. I didn't know they were unusual. But the most colourful I've ever caught were from the Thames. I wish I had a photo to show. At least I know now I wasn't imagining things.i don't exactly catch many tench so anything would do me. The Thames has a few Golden Tench it it - one of the first fish I caught as a kid.